It didn’t look too good for TSM during the early game. TSM, one of the most popular teams in the League Championship Series, are back in the win column with a victory on Saturday. Behind a great game by bot laner Jesper “Zven” Svenningsen, TSM defeated Echo Fox in the opening match of the LCS’ second week. The victory is the team’s second of the split after they defeated 100 Thieves in their first match last weekend. While star mid laner Søren “Bjergsen” Bjerg picked up four quick kills in the first 15 minutes of the game (and finished with seven in total), Zven turned out to be the bigger factor in TSM’s win. The Danish ADC finished the 38-minute match with a game-high nine kills. His 10 assists were also crucial for his team, which looked lost in certain parts of the match. TSM fell behind in gold and kills within the first 10 minutes, with Sergen “Broken Blade” Çelik and Matthew “Akaadian” Higginbotham both dying in a one-vs-two fight to Echo Fox’s Colin “Solo” Earnest. TSM seemed to fall behind even further at the 21-minute mark when they lost four players to Echo Fox without killing one. But despite the poor start, TSM began digging a way out of the figurative hole they were in. After passing the 30-minute mark, TSM wiped out a majority of Echo Fox twice to heavily swing the momentum back in their favor. 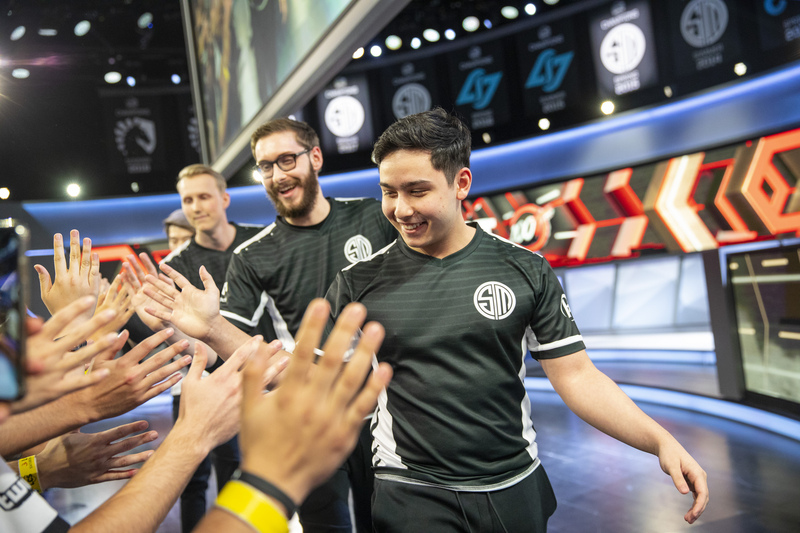 Within just five minutes of the second teamfight victory, TSM ended the game and secured their second win of the split. At 2-1, TSM will likely be in the top half of the league table heading into Sunday. To close out their weekend, they face FlyQuest, who went undefeated in week one. Echo Fox, on the other hand, will face OpTic Gaming, a 1-1 team that started their Academy lineup in the opening week.